Let it snow! 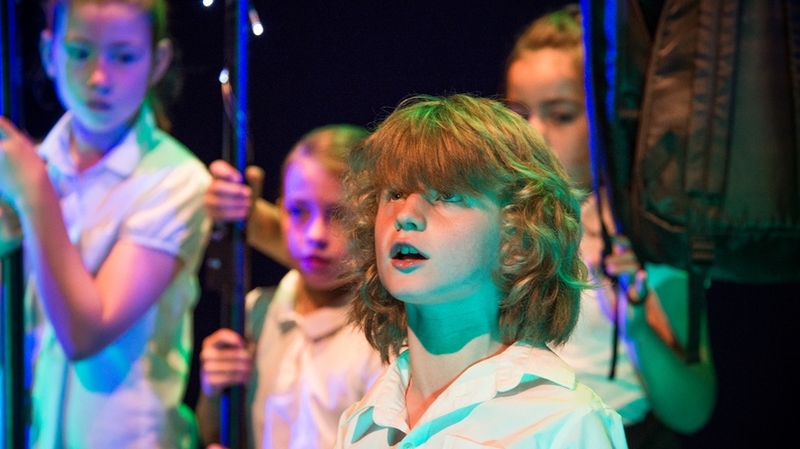 This December, why not get into the Christmas spirit and spend the day with the Theatre Royal Plymouth, rehearsing, then performing a classic Christmas inspired story. If you are up for the challenge of putting on a play in a day, packed full of songs, dance, comedy and drama, then this is one not to be missed! A Musical Play by Peter Kyrke-Smith based on the story by Oscar Wilde. The children from the village had always played very happily in the beautiful garden that everyone called The Giant’s Garden. No one had ever seen a Giant there – of course! – BUT THEN one day… the Giant DID come back! He ordered all the children to leave the garden, and NEVER return there again… – and built a great big wall all the way round it. The children were very sad not be able to play there anymore. But as the seasons changed and turned outside the wall and garden, inside the wall everything stayed permanently frozen in a bitterly cold winter. Would the Giant eventually realise that his SELFISHNESS had made this happen? This workshop will be held at our Production and Learning Centre, TR2, 12 Neptune Park, Cattedown, Plymouth, PL4 0SJ. The workshop will run from 10am-4.30pm. At the end of the day, there will be a Showback for friends and families to attend. Due to our Safeguarding Policy, we ask that audience members refrain from filming or taking photos of the performances. Please arrive by 3.50pm to make sure we start promptly at 4pm! NB: To receive discount YC members must book over the phone/ in person so that membership can be verified.